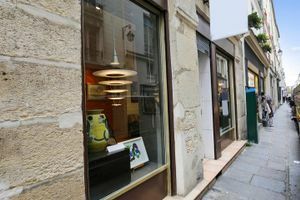 This traditional 20 sq m boutique space in the bustling area of Le Marais is perfect or pop-up stores, accessories retail as well as small private sales events. 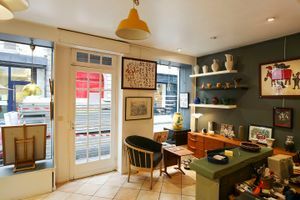 With a historical exposed stone frontage and large window display, the shop is welcoming and has a good atmosphere. 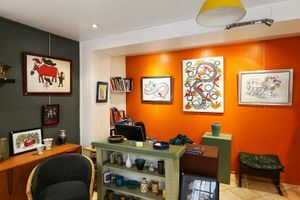 The interiors have a more modern touch with green and orange feature walls with white accents. 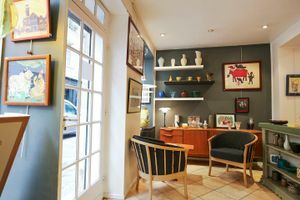 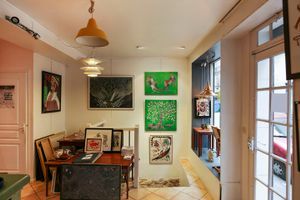 Located in a popular and sought after area of Le Marais close to Rue du Bretagne and Rue du Vieille du Temple, this inviting retail space is perfect for brands and artists to connect with customers.